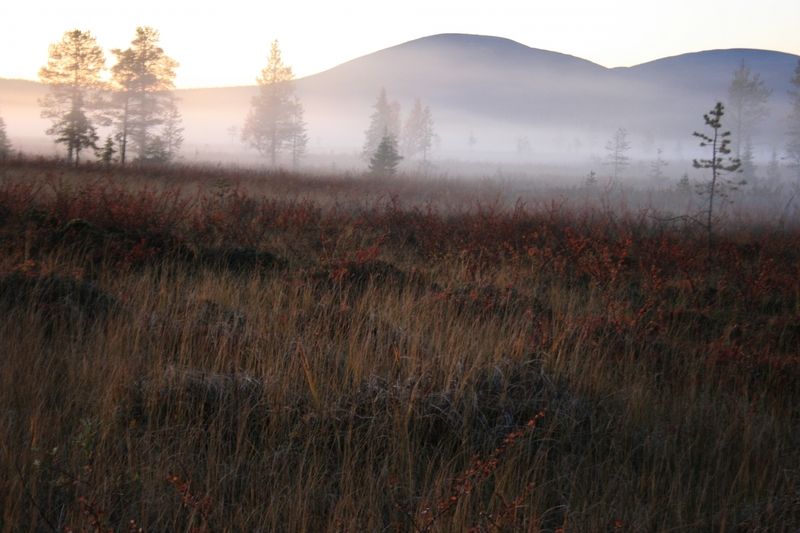 This guided wilderness canoeing day takes you to a relaxed paddling trip on stunningly scenic Lake Jerisjärvi in Rauhala Village and by Pallas-Yllästunturi National Park is located ca. 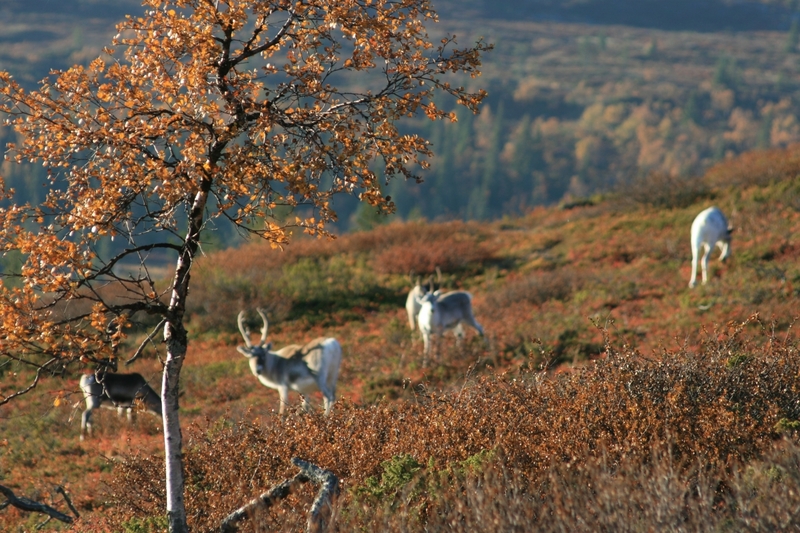 200 km north of The Arctic Circle. On the break by the campfire, we learn about local nature, life and customs. 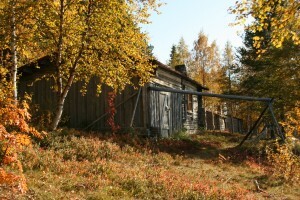 You can extend your trip and stay overnight in the local guesthouse by the lake, enjoying sauna and outdoor activities. 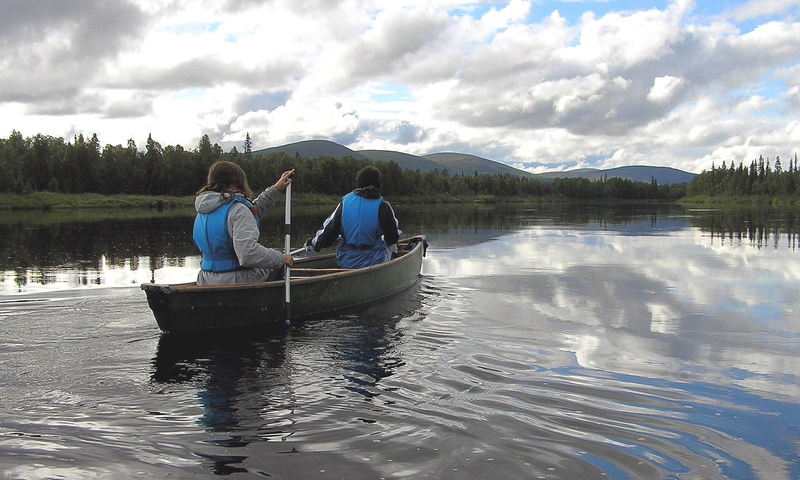 The canoeing trip is suitable for beginners. A guided canoeing trip on Jerisjärvi lake by Pallas-Yllästunturi National Park. Return transportation from Kittilä Airport/Levi or Ylläs area. You can get there also by bus from Rovaniemi. Before we start our canoeing trip, our experienced guide briefs canoeing safety and basic paddling technique. We paddle with Indian canoes on the Jerisjärvi Lake and visit the old fishermen’s hut area, dating back to the Middle Ages. The guide tells about the life around the Jerisjärvi Lake fishing livelihood, true stories, and tales. In the middle of the trip, we have a break by with coffee/tea, with Finnish rye-bread sandwiches and home-baked sweet rolls. Light lunch by the campfire (coffee / a tea; juice, Finnish style rye-sandwich, home-baked sweet bun. Additional nature hike in the National Park (can include a visit to the National Park) or canoeing trip (duration 2 h). 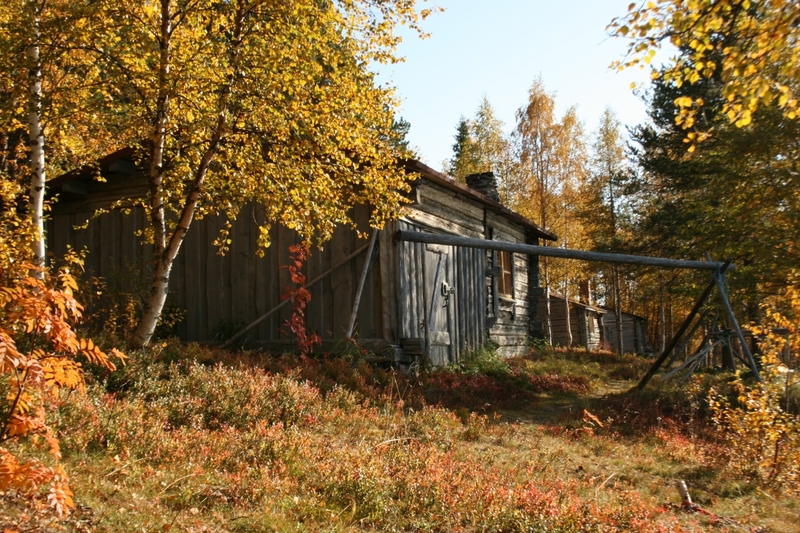 Overnight stay in the local guesthouse including dinner, a sauna by the lake and breakfast.